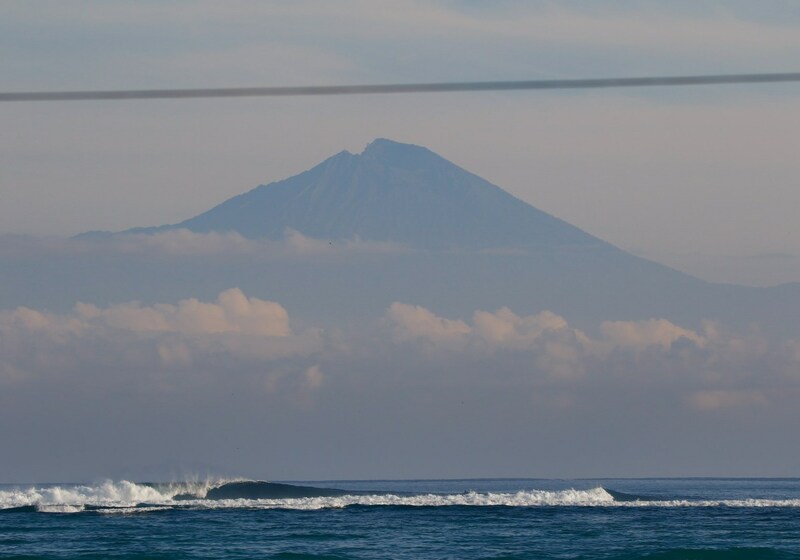 As I packed my surf gear for the upcoming trip surfing in West Sumbawa that afternoon, the question gets asked again… why do you bother going on surf trips when you’re based in the surfing paradise that is Bali? It’s a fair question…. I love getting on a boat every dawn and hit the airport reefs as the sun comes up. Or finding a little beachie along Legian beach with my expat mates from the local footy club, the Bali Geckos. 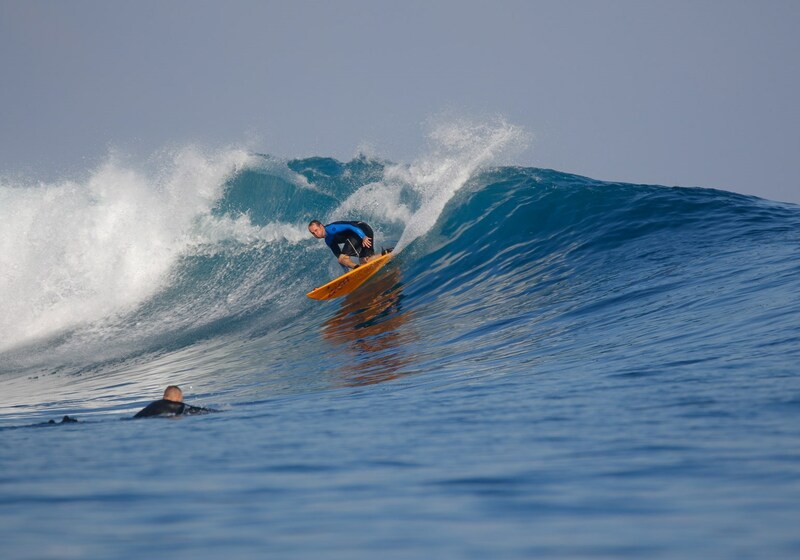 Or surfing a longboard whilst having an optic nerve at Old Mans…. Or surfing sunset out front of Kudeta whilst a few tunes are blaring out to sea. However, most frothing surfers love to tick the box. Just like a golfing member of Royal Melbourne, they still book in golf trips every year. Exploring other oceans of the world and surfing a wave you’ve only heard about or seen in a magazine or surf doco is an adventure. 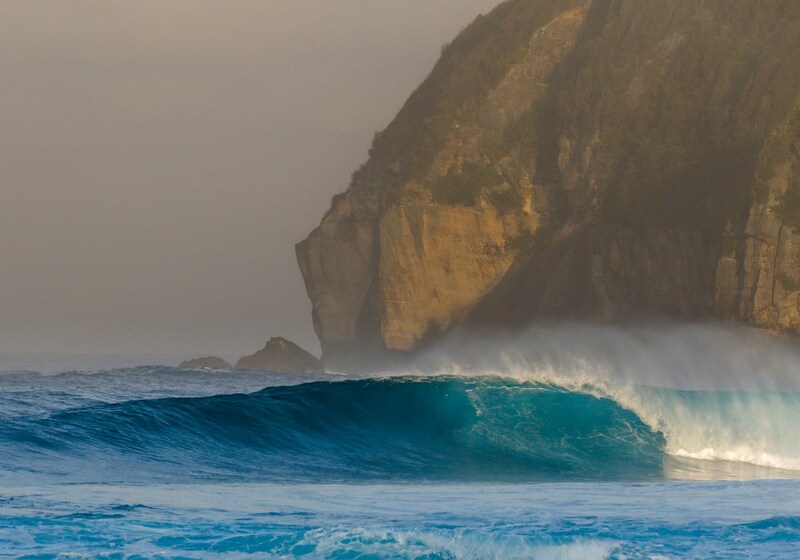 As a surfer, adventures don’t end when you finish high school. 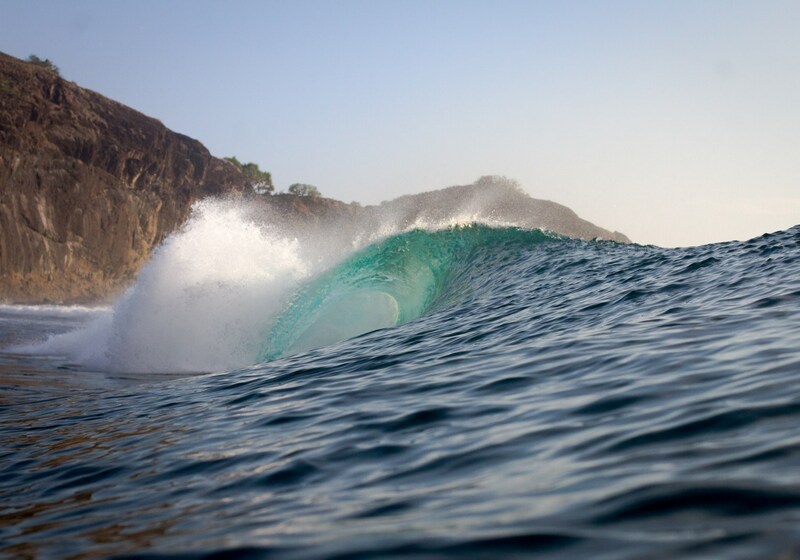 So, in July, I scored an epic week in West Sumbawa, Indonesia. Stepping back in time and history…. Back in 2011, I assisted Surfing Vic with launching their corporate arm, basically a networking group for business people with a kindred spirit for surfing, Surfers in Suits. 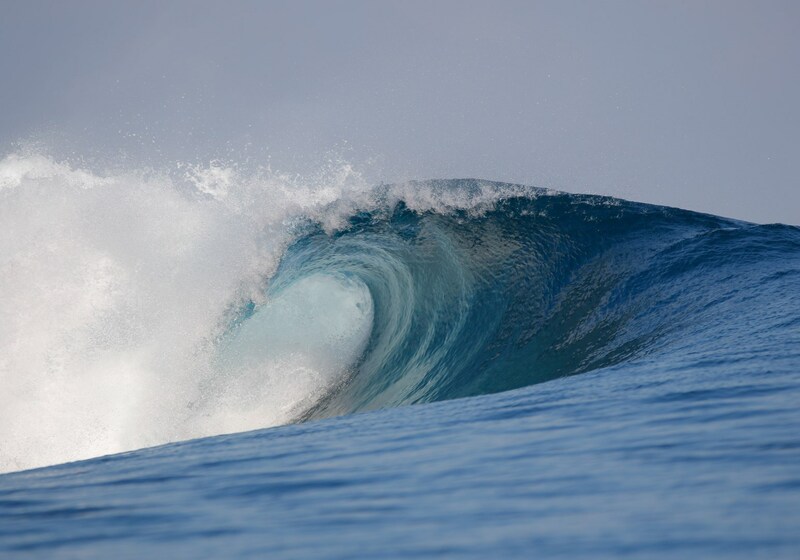 Every year, the group chooses an exotic surf destination to hold a “conference’ which is hosted by former ASP surfer and current SV CEO Adam Robertson. After 2 trips to the Maldives, and 2 trips to the Ments all organised by The Perfect Wave, we settled on Baha Baha Villas in West Sumbawa. Built and managed by Victorians Dean Murphy and Sean McInerney, the new resort is a cracking place to base yourself for a week. Sean knew the area well from working in the mines in West Sumbawa, and convinced his mate Murph to purchase some land from a prawn farmer named Baha. Both skilled tradesman in their own right, they did a lot of the resort’s construction themselves, and they have some horrendous and stressful tales to complement it. 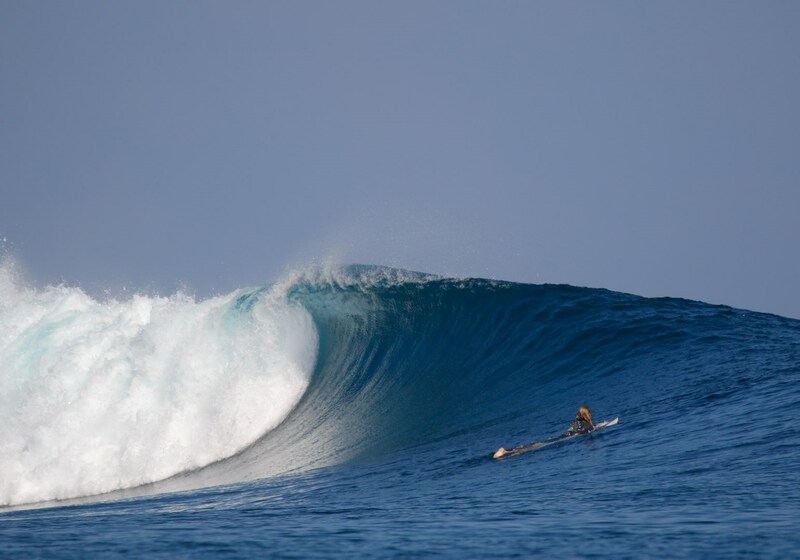 Thankfully their persistence has resulted in a resort that is far and away the best in West Sumbawa. New fresh rooms, some have ocean views, some are poolside. From beers in the pool after a surf, we headed into the bar area for a game of pool or table tennis, and watched live AFL on the TV via the global AFL app. The yoga studio isn’t quite completed, not that I would’ve spent time in there anyway, but good for the missus or the spiritual if you take them there. Walking distance to punchy Yo Yo’s, a short bike ride to Tropicals (a user-friendly left), a cruise thru some hills to SuperSuck (breaks exactly like the name suggests and where Robbo scored some hollow barrels) and Playgrounds, and an adventure further northwest to Scar Reef (not as vicious as the name suggests) and Little Bingin. With around 12 in our party of various levels, we all managed to score memorable sessions. Robbo ran “masterclasses” during lunch, covering all the key elements that makes a good surfer. The improvement in the group was considerable, even I finally managed to not surf a wave in a complete straight line. For all those unfortunates who have surfed with me over the years will acknowledge that my drop in is still my best manoeuvre. My excuses for them are even on another level. I’m already planning my next trip to Baha Baha and taking the family, in the wet season, which will throw up another set of surf variables. 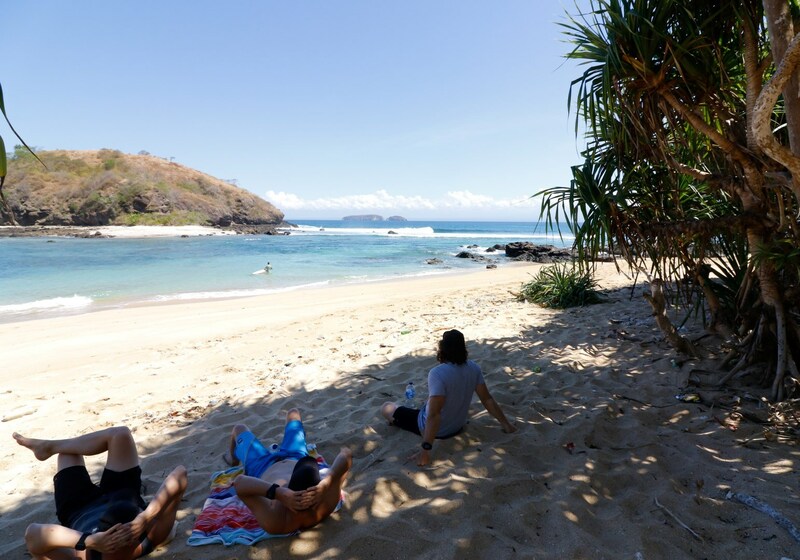 A short flight from Bali to Lombok, and a short fast ferry to West Sumbawa, makes it a pretty accessible location. The kids will love the pool and gardens at Baha, exploring the waterfalls, and learning to surf on the grom waves in the lagoons. I’ve also been promised they can stream the Ashes live in their quasi-sports bar! A magic part of the world – definitely put it on your list to tick off.